British-Asian clarinettist and composer Arun Ghosh makes a welcome return to Bristol, following a euphoric sell-out show at last year's Bristol Jazz Festival. 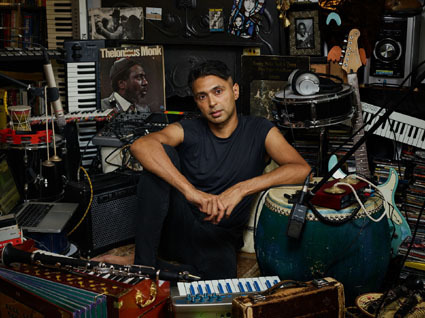 Ghosh, a two-time winner of Jazz Instrumentalist of the Year at the Parliamentary Jazz Awards (2014 and 2018), has released four albums on Camoci Records. His ensemble fluidly incorporates jazz, rock, folk, South-Asian and ambient influences. Arun Ghosh's melodic outpourings and freewheeling improvisations become passionate, and intensely charged 'songs without words'. Described by Ravi Shankar as a natural born improviser, the clarinettist is a renowned innovator of the modern Indo-Jazz style. 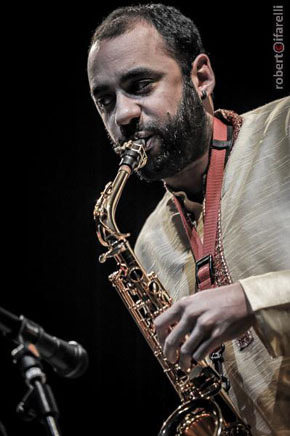 Being inspired by Jazz in his early years, saxophonist Chris Williams graduated from Middlesex University with a 1st class honours in Jazz Studies in 2004. Since then, he has been an active member of the thriving music scene in London covering genres far and wide ranging from electro pop and left field rock to African folk and free improv. Being involved in this vast array of styles has allowed Chris to develop a unique voice both as a musician and composer. This has led to critical acclaim and awards for a number of bands, as well as numerous TV and radio sessions broadcast around the world. With Mercury-nominated Led Bib set to release their sixth album and recording dates scheduled for a number of other bands (Let Spin, Metamorphic, Arun Ghosh, Namvula) all in early 2017, Chris will also be undertaking an MA in Jazz at the Royal Academy of Music, continuing his own development as a performer, composer, and music educator. John Ellis is a pianist/singer from the north of England. His musicianship has been utilised by well-known artists such as Tom Jones, Corinne Bailey Rae, Lily Allen, John Squire (Stone Roses) and others as well as being a founder member of The Cinematic Orchestra and contributing heavily to the albums "Everyday" and "Man With The Movie Camera". In his solo work John had a successful highly reviewed 12-piece band "The John Ellis Big Bang" which toured England between 1995 - 2001. John has written scores for various theatre productions including a National Theatre affiliated production based on the novel "A Clockwork Orange" for Benji Reid's Breaking Cycles theatre company. In 2015, John collaborated with visual artist Antony Barkworth Knight for the Irwin Mitchell commission at the Manchester Jazz Festival. 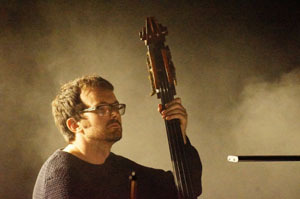 Gavin Barras is a professional double bass and electric bass player, performing regularly throughout the UK and abroad in a variety of performing and recording projects. In March 2017 Gavin released his solo album The Family Tree on ASC Records featuring Jeff Guntren on tenor saxophone, Jim Faulkner on guitar and Dave Walsh on drums. This new album features the double bass Gavins father built for him over a 15 year period. 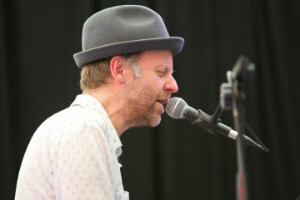 Gavin performs regularly as part of Matthew Halsall‘s band and has featured on all six of his albums. Gavin will feature on Matthew’s latest album a collaboration with legendary vocalist Dwight Trible. Gavin is also a member of the band Unfurl who fuse Indian, Classical, Arabic and Jazz music into new compositions. 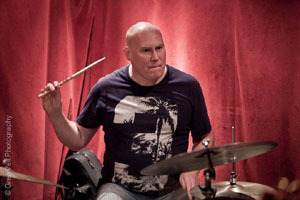 Dave Walsh is a busy working drummer at Leeds College of Music as a Principal Lecturer for the Jazz Pathway course. He works in many different genres, including with singer/songwriter Tom McRae completing four tours of Europe and several international music festivals. Dave has also been working with international guitarist Stuart McCallum, Italian pianist Enrico Pieranunzi and has also recorded with chart topping artist JP Cooper, playing on his 2nd and 3rd EPs. Dave has also played with many national and international jazz artist including Stan Sulzmann, Conrad Herwig, Don Weller, Ben Castle, Alan Barnes, Peter King and guitarist Mike Walker to name but a few.